Back in the middle ages, a heated home was a luxury that the majority did not have. Most people huddled around an open hearth in the center of the room for warmth, over which they also cooked their meals, while smoke filled their houses and their lungs. Chimneys were a new thing then, and belonged only to the most princely of dwellings. So it was natural for those who had them to use chimneys as a demonstration of wealth and power. Early chimneys appeared only on large manor houses, and during the Tudor period it became fashionable to have ornate brick chimneys and stacks. There is perhaps no better example of this than Hampton Court Palace situated on the outskirts of London. Hampton Court is one of the most significant and best preserved royal palaces in Britain. It was built between 1515 and 1525, originally as the residence for Thomas Wolsey, who was born a commoner but rose to the position of Cardinal of the Church and later appointed Lord Chancellor of England, thanks to his valued friendship with King Henry VIII. Wolsey spent lavishly to build the finest palace at Hampton Court, choosing red bricks rather than stone because it was the most fashionable building material of that time. 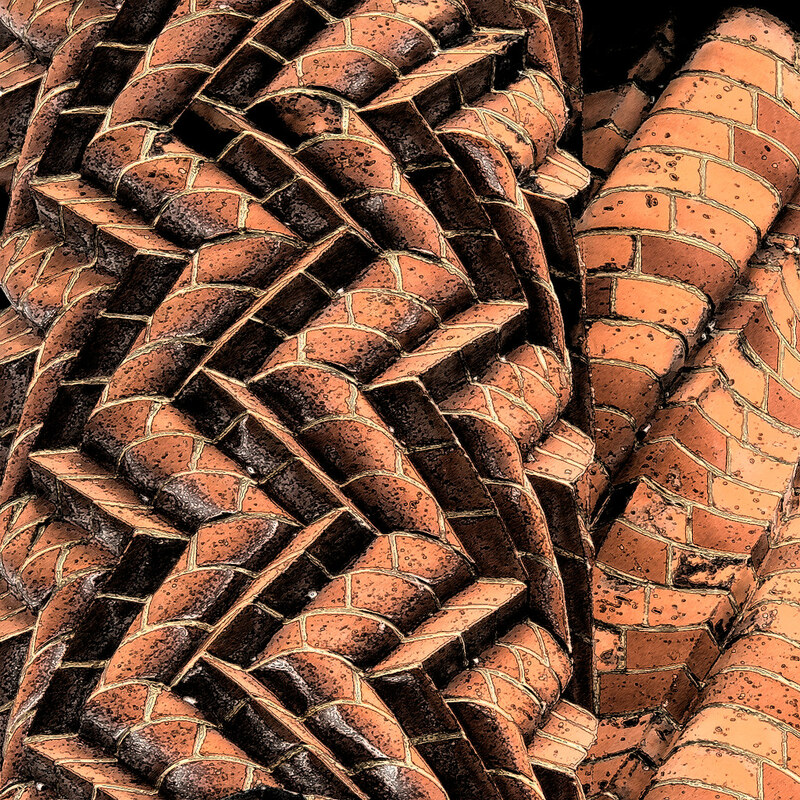 Besides, bricks could be easily molded and shaped as raw clay, and they was easier to carve than stone. They also came in different colors, depending on the earth from which they were made. By the time the palace was complete, its magnificence rivaled that of the King. Unfortunately for Wolsey, he could enjoy his palace only for a few years. In 1529, a dispute with Henry VIII caused him to fall out of favor, and the King seized the palace for himself. Immediately upon ownership, King Henry VIII began expanding the palace, quadrupling its size within six months to accommodate over one thousand members of his court. Huge rooms were built equipped with gigantic fireplaces and soaring ceilings to carry away the smoke. 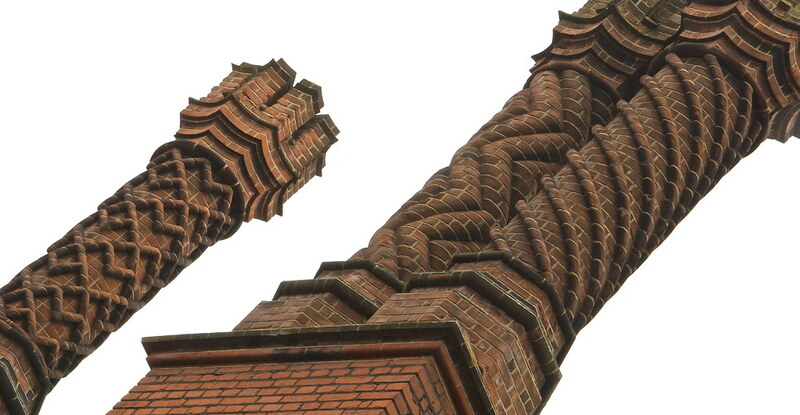 The famous brick chimneys were an integral part of the original design for Thomas Wolsey’s palace, and Henry VIII added further chimneys to the palace’s impressive roofline. Today, Hampton Court is adorned with 241 decorative brick chimneys, the largest collection in England. Each chimney sports an elaborately carved design. It is rumored that no two chimneys are alike.